When we post pictures, stories, and quotable thoughts on social media, we are trying to make our lives look “just right.’ There is always more to the story, and each of our stories starts with the family. 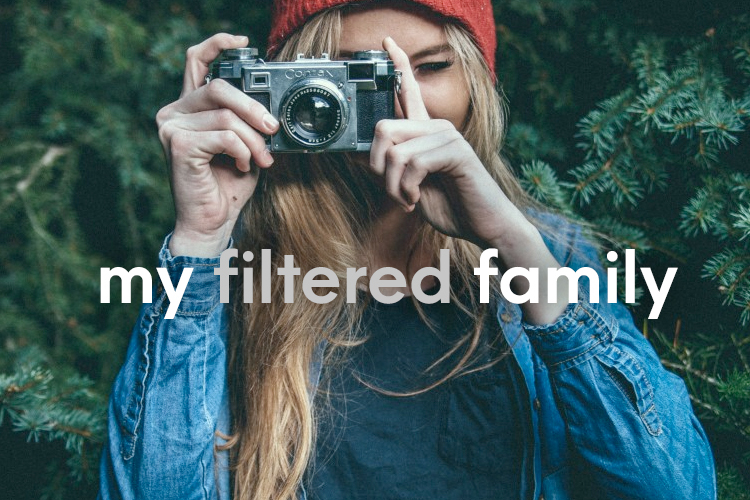 We believe the Bible is full of great truth and wisdom on how to deal with life’s most challenging family issues.Join us as we take a look at our families as-is—no filters, no careful cropping and heavy editing—and search the Bible for what it means to live out life in each of our beautifully unique family situations. In our culture today, the look of many families is more diverse than it has ever been before. We are constantly being introduced to people’s opinions of what a family should look like, and it can overwhelm us if our family doesn’t look the way we think it should to those around us. What should our families look like? Which voices are right? We believe, regardless of what your family situation, there are concrete answers and principles in the Bible to make any family complete and courageous. Join us Sundays as we see what the Bible has to say about families. Our “church family” as we like to call it, gets together each week in order to grow closer to each other and closer to God. The best part of having such a large and diverse family is that we can get to know other people from every walk of life. Our pastor, Dr. Don Wilton, from his humble beginnings as a boarding school boy in Zululand, South Africa, to serving as a tank commander, to surrendering his life to ministry and traveling all over the world sharing the Gospel, brings a wealth of experience and insight as he points us to the practical and unchanging truths of Scripture. Dr. Don—a son, brother, father, and now grandfather to a family sprawling across the United States and serving internationally—and the melting pot that is our church family together want to welcome you to meet with us at 9:30 or 11:00 this Sunday. Come on in God’s house. We’ll meet you in the parking lot!